Chevrolet Chevy Impala, Belair, Biscayne, El Camino parts catalog. Covers 1958 to 1970 time frame on most. 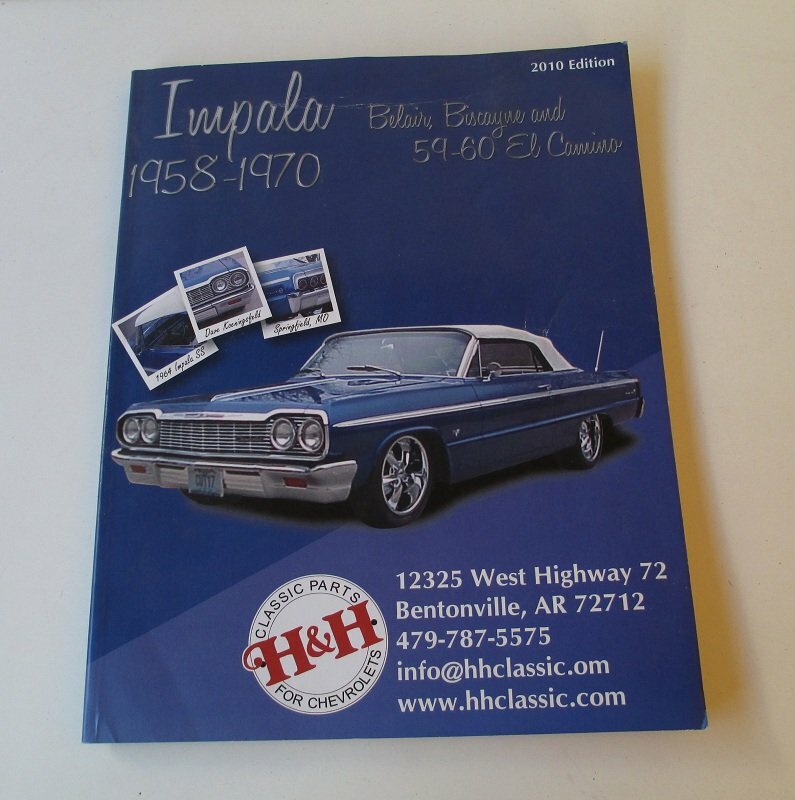 This parts catalog covers the 1958 � 1970 Chevrolet Impala, Belair, Biscayne and 1959 � 1960 El Camino. There are 136 pages, highly illustrated with photos of parts. 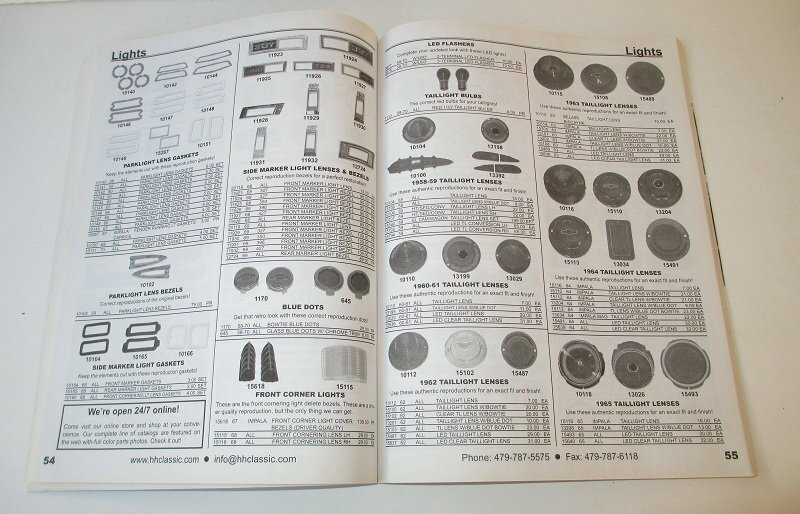 This catalog was put out by a company named 'H&H Classic Parts For Chevrolets" out of Bentonville, Arkansas. This is the 2010 edition of the catalog and it is indexed. Each page lists the part name and photo, then has a part number column and a model year column. There is also a price column. As to the part numbers, I do not know if the numbers are Chevy part numbers, or H&H part numbers. I tried to find a statement in the catalog that would state which it is, but could find nothing. Still, if you have a part that you need a replacement for, just match up the photos with your part and you'll know what you need to get. There are no rips, tears, smudges, or writing on the pages. Shipping will be via USPS First Class Mail from Northern California. The shipping charge is $4.95. Chevrolet Impala, Also covers Biscayne, and El Camino parts catalog. 1958 to 1970.